Home/Case Studies/BMW/BMW 5 Series E60 E61 retrofit original factory comfort seats. Mission: To install (retrofit) original factory comfort seats. The BMW 5 series had basic BMW seats, the customer supplied some used comfort seats for us to install. 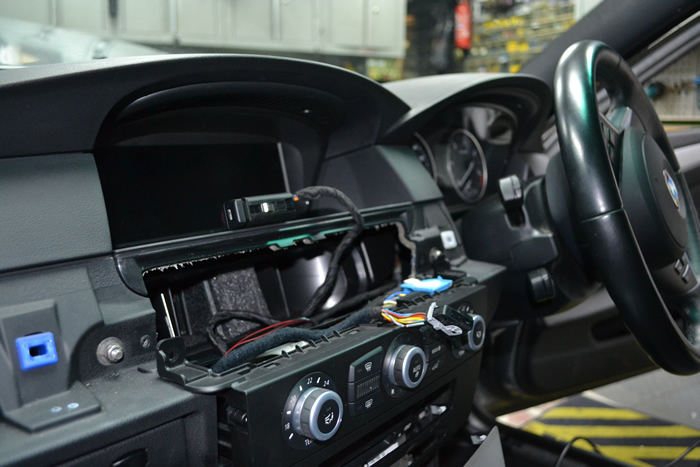 We modified the original BMW seat harness to adapt to the new seats, in addition we reworked the harness for the Airbag system (the new seats have active head rests). Once this was all done we coded the BMW for comfort seats & updated the cars software fully.